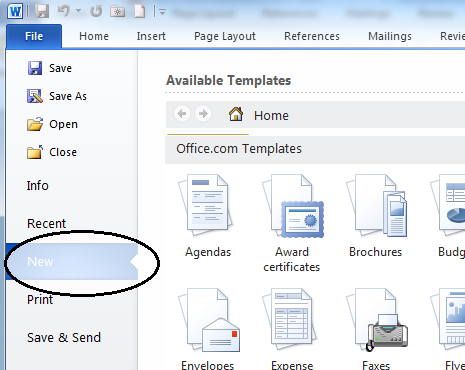 Under Office.com Templates, select Resumes and CVs. 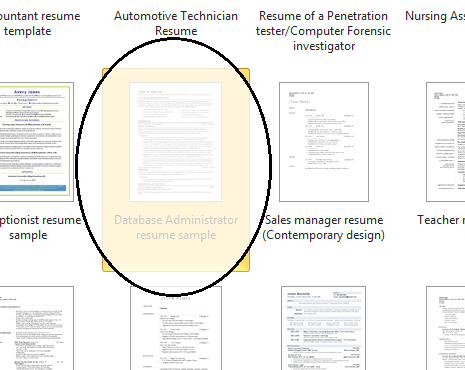 In this example, we will choose a template from the Job-specific resumes folder. 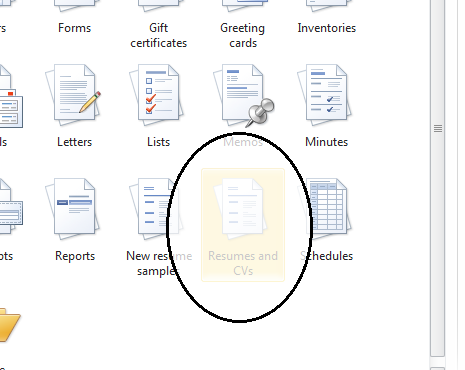 You may also choose from Basic resumes or Situation-specific resumes, shown below. 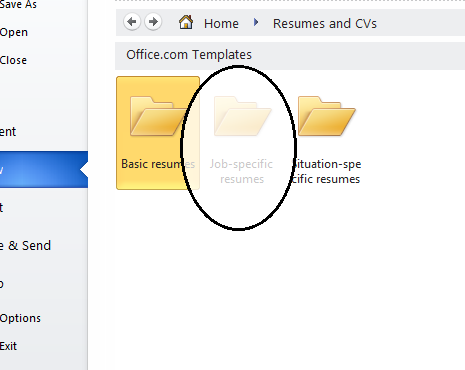 Within the Job-specific resumes folder folder, select the template that most closely relates to the position for which you are applying. You will now see a prepopulated sample. 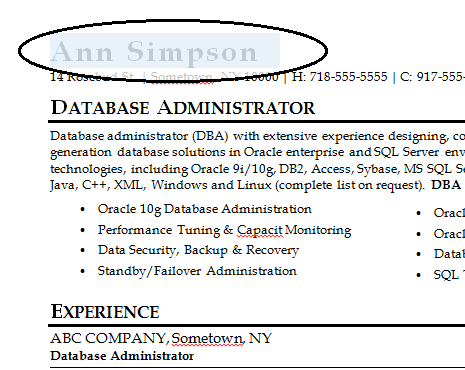 To replace this information with your own, simply highlight the portion of text you wish to replace and type in your own information to customize your resume. Replace the remaining text with your own information.